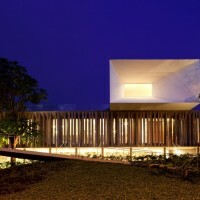 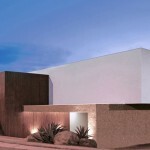 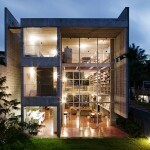 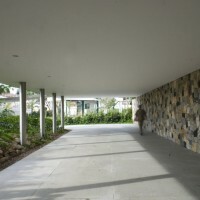 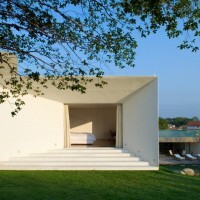 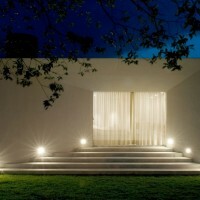 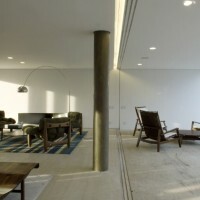 Isay Weinfeld designed the Piracicaba House in Piracicaba, Brazil. 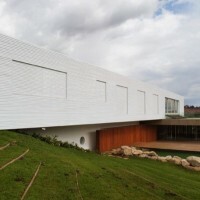 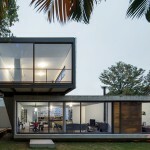 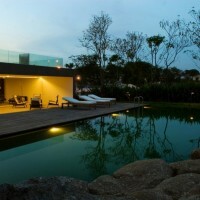 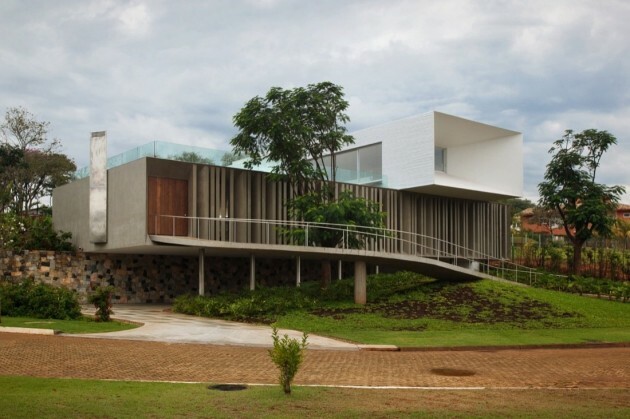 This is a getaway house erected in the city of Piracicaba, 250km away from São Paulo. 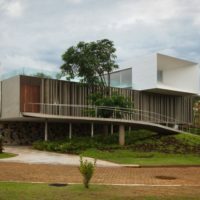 It is intended to serve as a meeting point for a family whose members are scattered across various cities around the state. 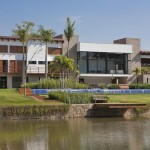 The 2,000m2 (21,500 ft2) land resulted from merging 2 corner-lots in a gated condominium. 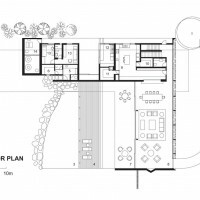 Not only did the position of the house take into account the sloping contour of the land, but also its orientation (North), as to provide the bedrooms and social areas with the best possible sunlight. 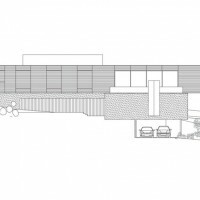 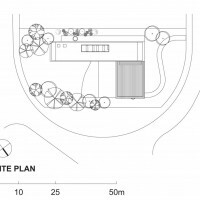 • The lower ground, semi subterranean and positioned in the lowest level of the land, parallel to the contour lines, houses storage areas, the mechanical room and garage – that standing on grid pillars. 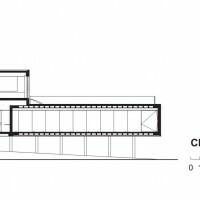 • The ground floor, laid out as an L and accessible from the street through an S-shaped ramp, houses the service areas and the lounge/dining room – the latter, fully encased in glass, on one side overlooks the back portion of the land and merges with the pool deck through wide sliding doors; on the other side, is shielded from the sun and secluded from the street by a long sun baffle made of large vertical concrete slabs, unevenly placed along the whole facade. 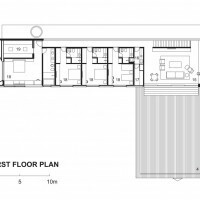 • The upper floor, a volume that stretches perpendicularly to the contour of the land and that, at one end, cantilevers towards the street, and at the other is planted on the higher section of the land, houses the bedrooms and the den – the latter opening onto a large wooden deck, build on the ceiling slab over the lounge/dining room. 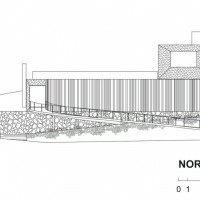 The swimming pool is snug in the nook of the “L” formed by the social and service areas, and the slope rising to the higher sections of the land.